With Final Cut Pro X, Apple is once again out to completely re-invent the video industry. This is a truly groundbreaking release for a 1.0 software version, and I hope that the professional features that many video editors currently use will be made available soon. For the time being, as someone that needs to work for a living, I am not giving up my hardware-based version of Final Cut Pro 7 just yet, especially since Apple makes it possible for users to have both FCP X and Final Cut Studio functional on the same computer. I regret that the older suite of tools has been removed from the Apple Store, but I plan to start using this version of Final Cut Pro for my direct to web deliverables and keep testing while I wait for App Store updates and additional features. The only real question for now is, how long before I get this on my iPad? With the release of Final Cut Pro X (FCP X), Apple has adopted a radical new approach that will dramatically change the future of non-linear video editing. FCP X is not an upgrade of Final Cut Studio, but rather an entirely new application that shares the same name. As more and more video camera manufacturers abandon tape-based conventional recording, smaller, more powerful video cameras have evolved, recording increasingly vast amounts of data. With FCP X, Apple shifts its flagship video editor’s emphasis to tapeless, metadata-based shooting and production techniques that accommodate this emerging data-centric workflow. In acknowledging and embracing this change, Apple offers users a new paradigm for editing, organization, performance, and post-production workflow. Most of the features introduced in FCP X are welcome and badly needed. Some are long overdue. Still, others are positively jarring and require a change in mindset to appreciate. Here is an expanded view of the Compound Clips feature in FCP X. It lets users simplify complex content groupings into a single element, all linked together to maintain audio and video sync. The burning question is whether FCP X is a real professional NLE application, designed for industrial delivery of video assets to businesses large and small, or whether it’s merely a souped-up version of iMovie, just one step ahead of the consumer market. Part of why I say that FCP X represents a radical change is that perhaps we should consider that the question might no longer be relevant. 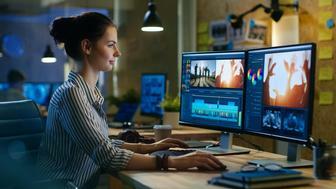 There are all different kinds of professional video editors and editing environments, and to try to limit that definition seems self-defeating. Much of FCP X version 1.0 is staggeringly impressive. There’s no doubt that Apple’s under-the-hood engineering will make life very fluid for some editors. On the other hand, this product at launch is nowhere near perfect, and is sure to defy expectations and disappoint many longtime working video pros who spent the last year looking forward to an upgrade of Final Cut Studio. Despite many reservations about the new FCP X, after a thorough testing of the app, I’m cautiously on board. Here’s why. The new FCP X interface borrows liberally from Final Cut Server and iMovie—and barely hints at the power of the underlying toolset. Ingesting directly from the camera into FCP X is as simple and straightforward as it is in iPhoto—if you have an approved camera and the related device driver software installed. It supports all Apple mobile devices—iPhone, iPad, iPod, and iPod touch. The Magnetic Timeline is a quantum leap in video interface design. The power behind this methodology is evident. You now have the ability to grab and move clips in and out of the timeline such that moving one part of your timeline will not bump, nudge, overwrite, or completely mess up some other part of your project. This is a huge accomplishment. Moreover, the need to maintain an elemental level of connection is vital. Apple does that in FCP X with the Clip Connections feature. It’s more than just a simple visual indicator of what parts your project media is linked to while on the timeline. Clip Connections offers a powerful yet simple, easy way to maintain the linking of video, audio, sound, effects, and even graphics and music, allowing all media to be treated as a single contiguous element. In this view, note that the Compound Clip has been edited in the timeline so it is only partially available. Clip Connections maintains content sync using just metadata, and it does so transparently. This is not how grouping or linking works in other software; here your content is bonded to the other elements, connecting invisibly without key commands or secret tricks. As an editor, it’s difficult to accept an NLE handling tasks without me directing the action. While not everything is handled perfectly, in my testing, the App was prone to error only when syncing surround-sound projects. In fairness, the error rate was not higher than if I handled the same files manually. To get an idea of how to work with FCP X, start a new project from scratch. If nothing else, go out and shoot something specific for your first FCP X project, using the most modern tapeless camera you can. It takes some time to get comfortable with the new interface, and I found the experience disorienting at first. You cannot expect to open any existing project file. FCP X is not backward compatible with projects created in Final Cut Studio because of the underlying architecture changes in the new version that allow for all the new capabilities. Don’t expect to use many of your time-honored keyboard commands, either. The essentials are still there, but the function key commands have been remapped. The Event Library offers users a simplified view setting, so that only the project and media you are working with appear in an easy, concise view. Some cameras that are popular with video pros might have minor issues. For example, in my tests, the software did not support importing media directly from Sony’s EX1, so media transfer had to first go through Sony’s XDCam Transfer Tool, and then get imported as files, much the same way it was handled previously. Likewise, ingest from Arri’s Alexa is limited, as metadata from that camera is handled as an FCP 7-compatible XML sidecar file. This version of Final Cut Pro currently does not support any XML formats. And that will give broadcasting professionals some pause. To handle scratch disk allocation, you no longer define a location based on a system level setting; you now define disk locations and move data directly when an Event is created, or from within the Event Library. Click on little sprocket/gear icon at the bottom of the Event window and select the Group Events by Disk command. Then you can move or allocate media to any attached volume listed. Another change comes within the Clip Browser, where you now skim through your video files at a speed never before possible—making the JKL keyboard method positively lethargic by comparison. I have never personally used clip views, preferring to rely on the list view in my browser when editing. Yet this skimming function is so incredibly fast and functional that it has changed my mode of operation. The power behind skimming also allows real-time preview of your filters and effects in both the viewer and as thumbnails. With a new feature called Auto Content-Analysis, FCP X automatically analyzes your media during import and archives critical information from the camera’s metadata, such as color balance, movement, and rolling shutter artifacts, while the application adds tracking and stabilization information and checks for the presence and number of human faces in each shot—all on a clip-by-clip basis. This feature then populates and labels the Smart Collections (color coded in purple) in the Event Library, with your media flagged indicating each category. By handling all of this analytical information at ingest, FCP X tags the files with additional metadata in a manner that speeds file processing, delivery, and rendering capabilities and vastly accelerates workflow. The power does not stop there. After ingest, your media is processed in the manner of an assistant editor, with the application automatically grouping shots based on close-ups and wide shots, for example. By adding your own keywords to the automatic ones that the program generates, you can also flag content based on client, location, time of day, B-roll or even script notes, letting you organize your media in nearly an infinite variety of ways. All this action is invisibly handled in the background because FCP X is a 64-bit application working with a 64-bit operating system. Without exception, FCP X is the fastest NLE I have edited on without the assistance of dedicated hardware. That performance gain comes from the program’s native 64-bit toolset and the operating system’s Grand Central Dispatch, which harnesses power from the GPU processing as well as the multicore CPU. This 64-bit architecture lets FCP X access every byte of RAM, execute true multi-processing across all CPU cores, and unlock GPU-based graphics processing. Because FCP X processing is scalable, it’s always using the maximum power available to your computer, whether it be a MacBook Pro or a Mac Pro tower. Final Cut Pro X finally utilizes every CPU and GPU cycle to accelerate background processes. That is done while simultaneously archiving the data stream and rendering, transcoding, and moving content in the background—all without bringing your machine to a grinding halt. Now, the extra RAM, disk speed, and powerful graphics card add a noticeable speed boost to your machine. With that power, tasks like ingesting media become a minor background chore rather than a consuming process. You can immediately start editing in the foreground while the file is being transferred or transcoded for proxy creation, all of which happens in the background. There’s a noticeable improvement in media handling and responsiveness after the transfer/ingest is complete. This is due to additional processing power being allocated back to application as soon as the Finder has completed its tasks. Final Cut Pro X never lagged, even as I pushed the machine to the limit, often while rendering high-resolution output as DPX frames and simultaneously transferring media to multiple external drives—in addition to rendering files for playback on my iPad and prepping content to be edited on a MacBook Pro. This is genuine multitasking and it feels good. In post-production, the majority of an editor’s time is devoted to media organization and content labeling. With FCP X, labeling is based on content, user keywords, deciphering flaws such as camera shake or bad audio, and automatically sorting that content in the Event Library. With FCP X, you can begin the creative process more quickly. You no longer have to sort through clip after clip searching for a particular night-time exterior shot—just group clips by content, import date, scene, duration, or even file type. This allows you to focus on only the DSLR footage, for example. This organizational process is key to the operational speed gain of FCP X. The ability to dynamically modify multiple search parameters is much like having Google built into the program—it simulates a modern search engine, giving you faster access to your media by searching with words rather than endless visual scanning. This organizational database is also key to the new Clip Connection’s ability to maintain synchronization of your original media, voiceover, graphics, music, and sound effects as a single element in the timeline. The concept is simple: group all of the elements together as one contiguous clip, give the user a visual reference to confirm what is attached, then lock the clip to maintain continuity and sync. With this sort of file synchronization, tools like the Magnetic Timeline gain true power to change the way you edit, making the process more creative and less mechanical. The elimination of a track-based timeline in FCP X is no longer an issue for the editor when the elemental pieces are locked together as a single group. Moving each element no longer risks a loss of media or a clip overwrite rippling down the edits in your timeline. Until now, keyword searching was limited to the object level, meaning that if you associated a keyword with a clip, that keyword would always bring you the entire piece of media. Nothing in Final Cut Pro X shows me the underlying power of its new data processing capabilities better than the new Range Based Keywords feature. In FCP X, keywords have no restrictions, and a selection of a portion of one or more clips can now be defined with a keyword, and displayed as a single new clip in the Event Library. It no longer matters whether or not the selection encompasses the entire media chunk. With FCP X, any or all parts of a grouping of multiple clips, even if they’re different media types and stored on separate volumes, are treated as one single new piece of media in the Event Library. FCP X has incorporated some of the best features from Soundtrack Pro and Colour to simplify audio editing and color correction and give users a more streamlined way to finalize their projects. Apple has integrated some professional audio editing features into this release. FCP X can pre-analyze audio flaws in your media in the same manner that it determines camera shake and colour imbalance. 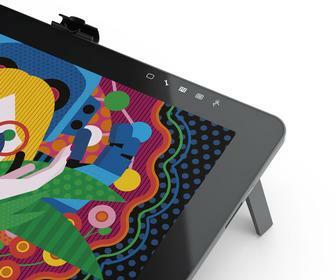 It can automatically remove silent channels, hum, or excessive background noise, or it can use these base analyses as a starting point so you can use the inspector to fine-tune settings. Understanding that many DSLR-based productions rely on having video and audio recorded on separate devices, FCP X compares audio waveforms from both sources, then using the Synchronize Clips command, linking either your stereo or surround sound audio with sub-pixel accuracy, then locks them together using Clip Connections into a single new file to ensure that audio and video are handled as a single unit. Once Apple made available more than 1300 royalty-free sound effects for download (after purchase) and added facility for third-party Audio Unit plug-ins, I quickly forgot about Apple’s previous audio editing tool. Color grading is another area where tools of the past are being replaced. Cameras today record color settings as part of the data stream, something FCP X immediately detects and can correct. The Balance Color setting is a good place to begin, as everything starts with proper white balance. Why not allow the computer handle your shooting errors? Apple has innovated FCP X’s new color features with a tool that I never thought I would see: a simple, efficient way match the color and contrast between multiple clips—all handled mathematically. The Match Color setting is not perfect, but I have seen many editors try and fail at this task without proper monitoring. Not surprisingly, the color correction interface has changed dramatically. Gone is the node-based look of the previous tools. The new Color Board is simple and straightforward, allowing users to correct color, exposure, and saturation. Unfortunately there is no numeric entry accompanying the slider bar, so you must use the Match Color feature to maintain color consistency across multiple clips. Apple has focused on online electronic delivery functionality in this release of FCP X, and on embedding direct compression and upload support for video streams on Facebook, YouTube, Vimeo, and CNN’s iReport formats, other Apple devices, DVDs, and the much-anticipated support for Blu-ray format. The H.264 acceleration is amazingly fast compared to previous Apple tools, creating a full-resolution 1080p23.98 file faster than real time. No longer does it take hours to compress for website delivery. Compressor 4 has been fully integrated into Final Cut Pro X, providing easily importable export workflows for editors. However, output options are currently limited due to the lack of third-party hardware devices. Without hardware output, the broadcast industry requirements to deliver HDCamSR videotape with a defined order of multiple audio tracks is seriously constrained. Capture and playback of content for live events has similar problems, since Final Cut Pro has been a growing staple in many live broadcast trucks for a number of years. When there’s a wholesale out with the old and in with the new, there’s bound to be some irreconcilable losses. FCP X has its share. Gone are Log and Capture over anything except FireWire; Bins; many of the native codecs used for editing in the timeline; tabbed browsing of projects; panels; and software tools like DVD Studio Pro, Color, Soundtrack Pro, and Cinema Tools that were formerly part of the suite. There are also extensive changes in the keyboard editing conventions. My inability to use some of the most common editing commands to insert and move media squandered a good deal of my previous editing speed and expertise. While you can still manually modify key sets, there are a few seemingly arbitrary changes. For instance, Command-I has been used to import files across the platform, and in nearly all Mac apps, for decades. Yet with FCP X, Apple has decided to now employ this command for Import from Camera. This makes me unhappy for a couple of reasons. Tapeless workflows, by their very nature, are designed to take the camera out of the mix. Why would someone go through the hassle of plugging in one or more cameras to transfer data when their SDHC card can be read directly from the SD slot on their laptop at three times the speed of a camera connection? Apple appears to understand how data is actually handled. Even Camera Archives created by other software packages can be read by FCP X, allowing users conventional archive tools like Imagine Products ShotPut Pro. The Camera Import Dialog allows you to open previously archived media. Here, I was able to use the Open Archive button to open these Panasonic P2 files shot on an HVX200. This 720p DVCProHD media was archived in the original card format via two different software tools, using Panasonic's P2CMS software to extract the material. Tools that some videographers have built entire workflows around—such as DVD Studio Pro, Color, Cinema Tools, and Soundtrack Pro—are history. Moreover, there is very limited support in the FCP X debut for third-party codecs and little if any third-party hardware support—at least until Lion (OS X 10.7) ships and people get their heads around Thunderbolt I/O. As a working industry professional, all of my workflows are centered on acquisition and delivery of various content options and formats for clients. However, FCP X excludes 3D editing, professional monitoring, and a large chunk of my broadcast market capabilities. All of those Blackmagic, Aja, and Matrox hardware products have limited use with the initial launch of FCP X. Third-party plugins and effects are also limited, leaving many wondering how long a huge base of prosumer and professional users are going work without their regular hardware and software. Apple is mining an incredible amount of metadata behind the scenes. This shows only a partial list of the selectable “video only’ parameters available for Auto Content-Analysis to determine clip Smart Collections. Hints of what is coming are showing up online: video posted from one of Blackmagic Design’s distributors showed a working Thunderbolt I/O device a week before the public release. And Apple has confirmed that it is working with third-party vendors to help them update their products for FCP X, yet I do not expect to see much in the way of hardware until Lion is released. While FCP X cannot open the DPX or OpenEXR file types used for commercial production and visual effects in many Hollywood feature workflows, FCP X does have the built-in libraries from Shake already in place under the Share -> Export Image Sequence function to output such files. I wonder how long it will take before I am able open those files, as well as other formats like Red’s R3D, Sony’s SR2, ARRIRAW, and the high-speed Phantom Cine files.